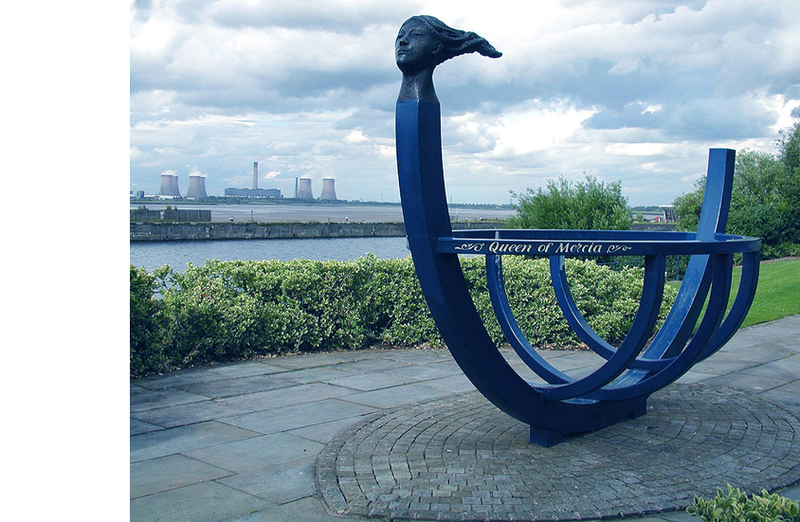 Four metres long x two metres wide steel fabricated boat form, with cast bronze figurehead based on Saxon Queen of Mercia, Ethelfreda – the remains of her castle are nearby. Set in Yorkstone paving. Steel boat frame fabricated by Oldroyd Bros. Ltd. Bronze cast by Castle Fine Arts Foundry.